If you can walk, you can snowshoe! So said a ranger at Mount Rainier National Park. 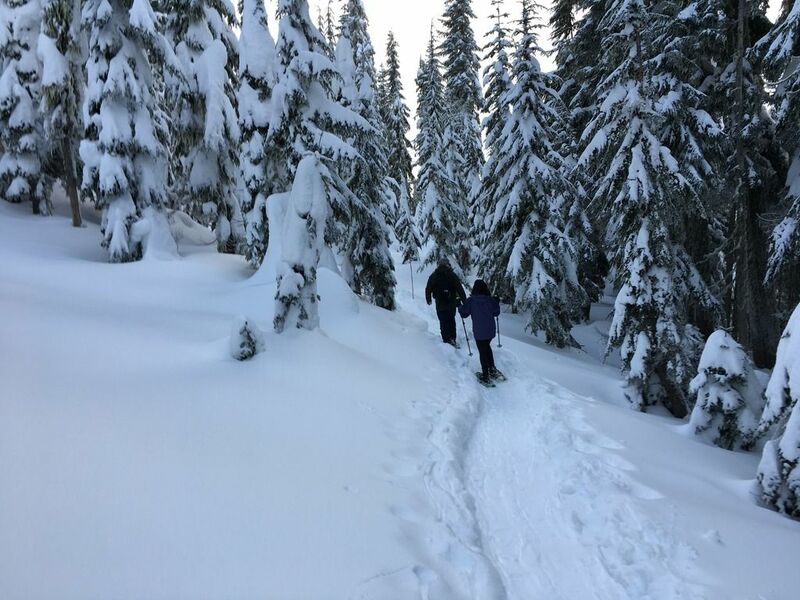 And yes, it was true, if you can walk, you will certainly enjoy snowshoeing, especially if it’s at Mount Rainier, the highest mountain in the state of Washington and the fifth national park in the United States. During the winter months, friendly and knowledgeable park rangers offer informative, 2-hour guided walks from the Jackson Visitor Center in Paradise. If you don’t have the equipment, they will provide snowshoes, a choice between the traditional beavertail type or the more modern ones. These very popular walks are held in the morning and early afternoon on the weekends through the end of March (arrive early to ensure a spot). Dress warmly and in layers as the temperature can vary greatly on this 1.8 mile hike. You’ll be rewarded with gorgeous views of Mount Rainier, Nisqually Glacier, and the surrounding Cascade Mountains. A winter wonderland activity for those in the Pacific Northwest!